﻿BBJ Mold Control for HVAC Systems and Air Ducts® is a broad spectrum antimicrobial agent in a ready to use form. Use to sanitize all elements of both the supply and return side of HVAC systems. One application provides months of protection. Ready to use, no measuring, no mixing! 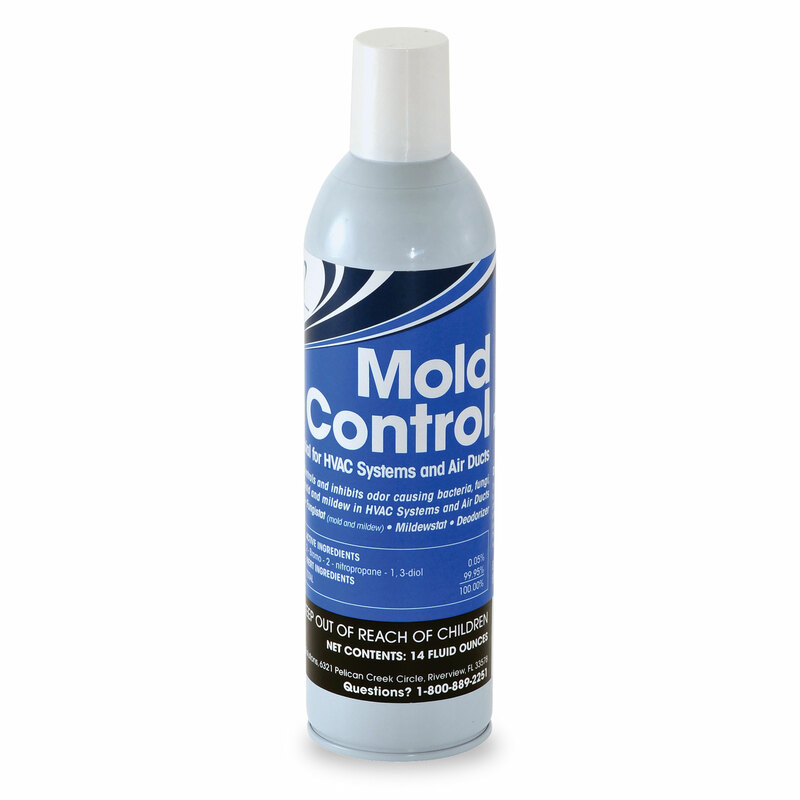 HVAC Mold Control Now available in Aerosol! BBJ Mold Control® for HVAC Systems and Air is the same formula as our concentrate – just in a convenient ready to use formula. This product provides excellent mold and mildew control by controlling the growth of mold and mildew on a large variety of HVAC system surfaces, including coils, ducts and mini split ductless systems. 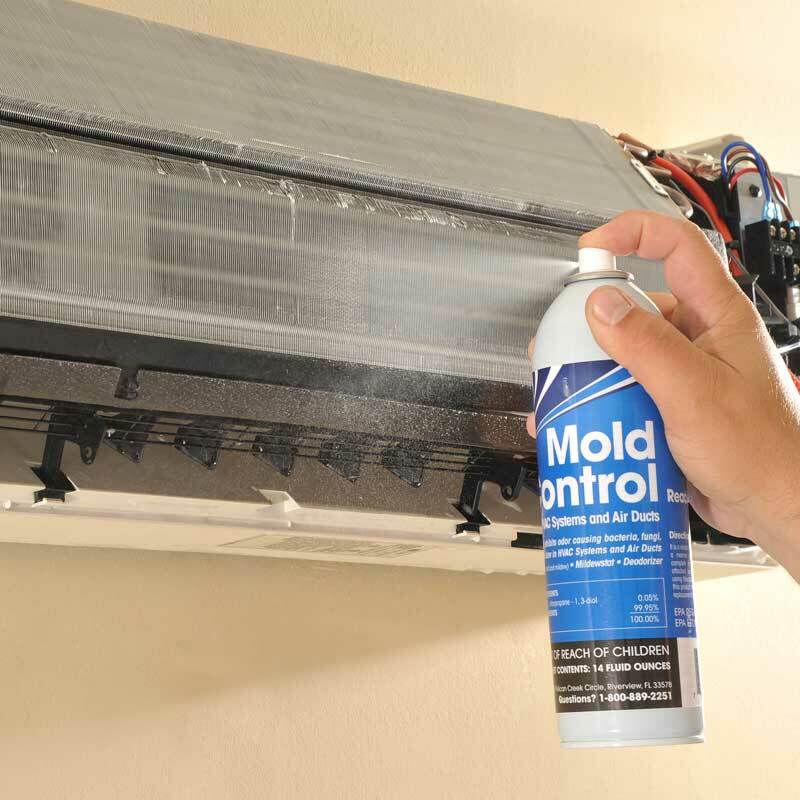 Protects against mold and deodorizes all HVAC components. Use on ductwork, coils, drain pans, air handling units, package units, and humidifiers and dehumidifiers. Also helps remove and stop musty smells from odor causing bacterial growth. Depending on application method, one gallon treats from 250 to 500 square feet. Available in 14 Oz aerosol (490-06), 32 Oz spray (492-12) and 1 Gal. bottle (486-04). Are you a contractor or wholesaler? Request your free sample today. Q. Do I need to mix this product before use? A. No, BBJ Mold Control for HVAC systems and Air Ducts is a ready-to-use product for controliing the growth of mold and mildew.